Doing It Right - "Customers, Contractors and Communication"
Besides staying solvent and viable, the bottom line for any utility is good service to its customers. Some do it better than others, and here is an example of one that excels in a number of ways. Rappahannock Electric Cooperative is a member-owned electric company that serves portions of 22 counties in Virginia. The content for this summary is taken from an article that appears in T&D (Transmission and Distribution) World magazine titled "Customers, Contractors and Communication" by Forester Cindy Devlin Musick. It is condensed here and used with permission. This info was published as Tree City USA Bulletin 99 / National Arbor Day Foundation. Every decision at Rappahannock Electric Cooperative (REC) is based on what is best for the members. REC has single-mindedness about a high level of member service and, not surprisingly, this mindset extends to the cooperative's vegetation management program. REC manages some 8,000 miles of overhead rights-of-way, including about 200 miles of transmission lines. 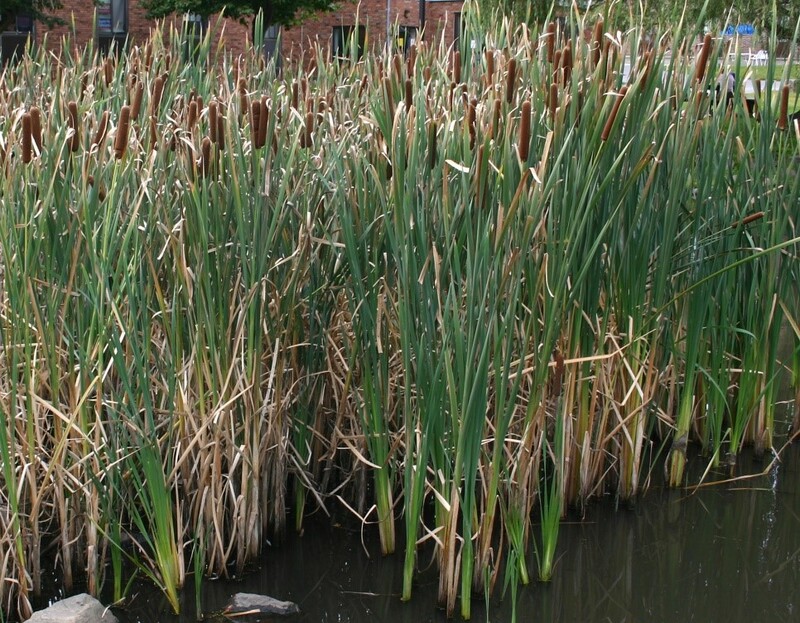 Here are three ways that REC's vegetation management program provides a particularly good example. REC's contractors are trained not only in proper pruning methods - ANSI A300 and safety requirements Z133 - but also regarding how much growth can be expected from various species. Species and position relative to REC's facilities are the primary factors in determining the required clearance. 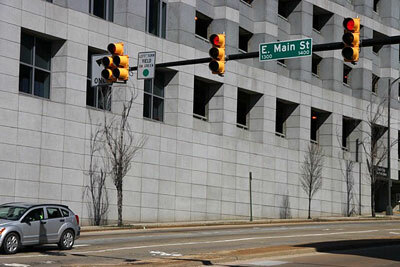 Contractors also learn to look at growth over the previous five years to determine whether more clearance is necessary. To encourage stability in the workforce, REC uses five-year contracts. It also has a bonus program and a celebratory breakfast for contract employees who meet quarterly production goals. In addition, there are incentives for safety and job attendance. At REC, the use of herbicides is embraced to manage pollinator-and wildlife-friendly corridors, improve access, control invasive species, and prevent outages caused by trees and vines. Specifically, herbicides are applied to stumps to prevent re-sprouting, thereby reducing the workload in the following cycle. 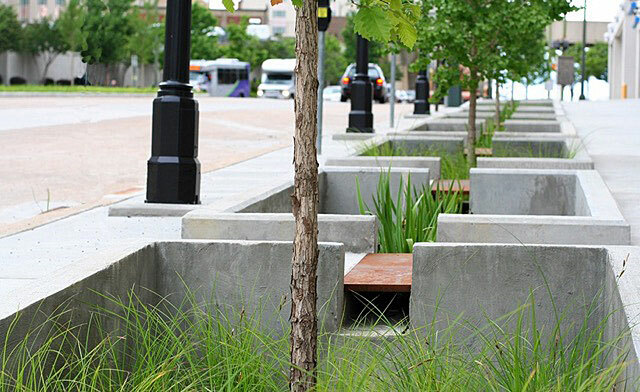 This also increases sunlight, which promotes native grasses and low-growing shrub habitat. Following scheduled clearing in corridors, a low-volume foliar application of herbicide is used to catch tall-growing species before issue arise with power quality. One of the many positive effects is the formation and maintenance of pollinator-and wildlife-friendly habitat. Contractors are instructed to avoid properties where members choose to opt out of the treatment and signs are placed accordingly. Sometimes members change their minds after an explanation of the herbicides being applied and the desirable outcomes of their use. They are usually unaware and pleasantly surprised when they learn of the potential benefits, including vistas for viewing wildlife, increased berry bushes and more birds. One of REC's core values is customer service. The vegetation maintenance department recognizes the intrinsic values of treating others as they wish to be treated. Every interaction with members is handled in this manner, and a variety of techniques are used to communicate, including phone calls, texts, emails, letters, door hangers, and social media. REC's website also is updated as needed to reflect current practices. Members are notified by a postcard prior to the commencement of tree pruning and right-of-way work and by letter prior to herbicide application. REC conducts phone surveys on its vegetation management efforts at the completion of each circuit. Members are asked about the effectiveness of notification efforts and the care taken by the crew working on their properties. Overall, the average rating of REC by members surveyed has been 8.7 out of 10 over the past five years. Comments like this are often received: "Working with REC has been great!" said Kyle Rhodes, land manager for the Smithsonian Conservation Biology Institute. "The quality and communication that they have demonstrated is excellent. 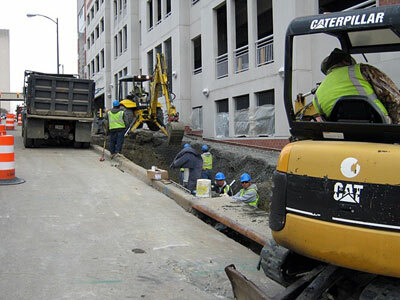 From preparation to the cleanup, the work has been thorough and considerate of our site." REC's vegetation management department is involved in numerous community outreach events and utility forestry recognition activities. For the 15 year, REC has been recognized by the Arbor Day Foundation as a Tree Line USA utility. 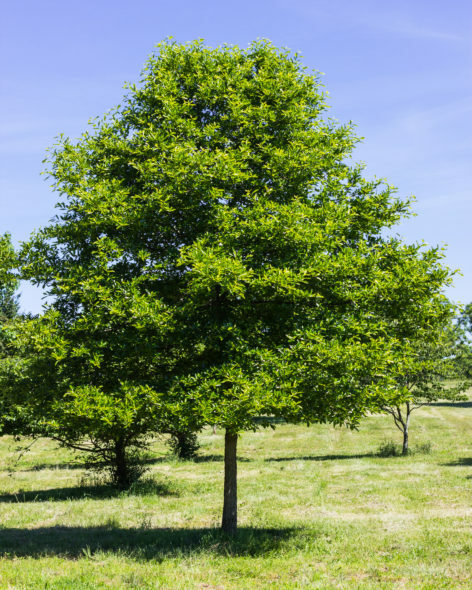 Last year, REC participated in the Foundation's Energy-Saving Trees program by providing its members with 180 trees that will sequester more than 700,000 pounds of carbon. REC also participates in an Arbor Day celebration with a local school each year. REC's program has been successful largely because of thoughtful design and managers who understand the value of a well-funded, consistent program managed by professional foresters. Stable costs, improved reliability, and high member satisfaction all demonstrate the program's success. Let me start by saying the choices on this list of tree’s is entirely my own. Tree lists are typically opinion over fact, and I readily admit this list is no different. 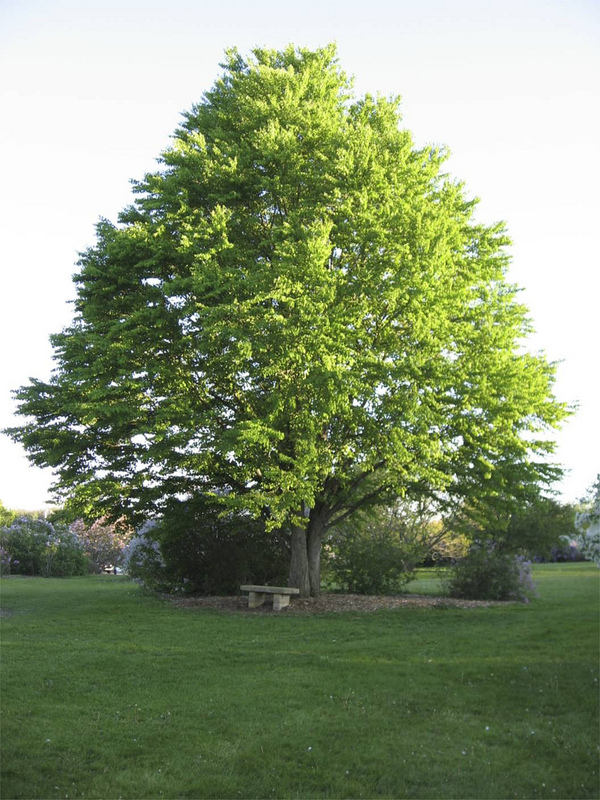 However, after over 20 years as a landscape installer, designer, contractor, and certified arborist, I have managed to notice a few things about how and what trees are planted in the urban and suburban landscape, and would like to share a few real world things I have figured out. 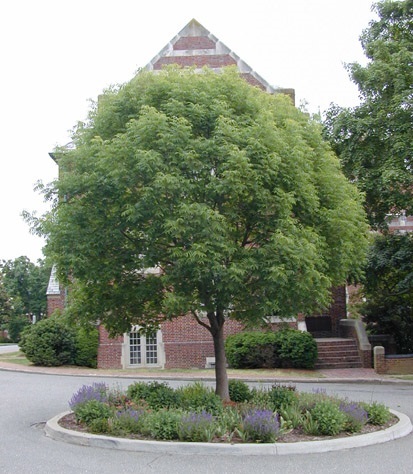 This post (and similar ones to follow) will be an attempt to discuss some of the good, bad, and ugly tree choices and installation techniques I see being made by designers, landscape architects, installers, and property owners. I live and work in central Virginia (USDA Hardiness Zone 7a) so these posts will primarily discuss plants suited to this region. In today’s post I’d like to shed a little light on the real world situations common to today’s landscapes, and share a few trees I think can work great in them, but aren’t being utilized nearly enough. A new development is planned, a forest is bulldozed, heavy yellow machines scrape off and compact native soil horizons, unnatural grades are imposed, root zone protection of remaining trees is absent, buildings are erected, chemicals, trash and debris litter the site, bare soils are left open to further compact, and after all the other trades have beaten the site into submission, now it’s time to plant! Plans have been drafted by designers and landscape architects that specify plants that should grow in that particular zone. In “boots on the ground” reality, hardly any attention was paid to how tolerant these plants would be in the wasteland that will become their new home. Can they grow in compacted soil? Under HEAVY irrigation (contractors loooove to let the water fly on their new sod!)? Will they grow if completely neglected, with no human inputs of water or fertilizer? And if they can manage to somehow gain a foothold in this harsh new environment,can they accomplish the goals we ask of them as designers? Should our current building practices be reformed? Absolutely. As in life, we should all strive to do better. But until those days come, I think as professionals we can make better plant choices. Choices that can shoulder our goals of providing shade, structure, habitat, or beauty all while managing to survive in the manmade environments we ask them to grow. Now let me climb down from my soapbox, and give you some specific trees. Native Habitat: Central and western China, Taiwan, Philippines. Mature Size: 30-35’ high, 25-35’ wide. Form/Shape: Oval-rounded. Upright, unorganized habit in youth, more uniform with age. Bark: Grey-brown and furrowed. Exfoliates as it matures, and can be interesting. Flower: On previous year's wood in April before leaves. Female has 8” panicles that are interesting, but not show stoppers. Fruit: ¼” bright red fruit ripening to blue in a panicle cluster. 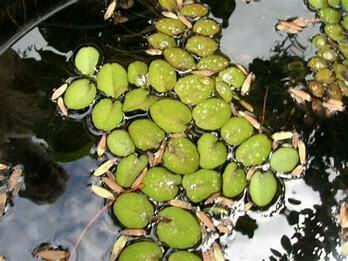 Again, are interesting, but not the reason for using the plant. Birds gobble them up Oct-Nov.
Foliage: Now here’s the real reason to use this tree. Compound 10” leaves that are lustrous green in summer, absolute fireworks show of orange-red from mid-October into November. Growth Rate: Medium fast. 1’-3’ a year depending on soil conditions. Drought Tolerance: Very drought resistant once established. Soil Requirements: Prefers moist, well-drained soils, but will tolerate a wide range of soil conditions. I have observed it thriving in barren tree pits, as well as dry, narrow hell-strips. Diseases and Insects: None serious. Maintenance: Some staking and pruning will be required in its youth to give it shape, and remove multiple leaders. Develops a full head as it matures with minimal input. Uses: Under-utilized lawn, park, and street tree. Once established, it withstands life in the urban environment even in poor, droughty soils. 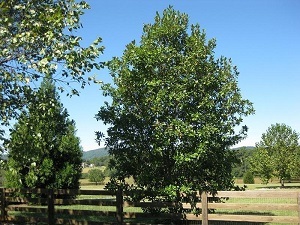 Mature Size: Typically 20-30’ Tall by 20-25’ wide. Can get larger. Form/Shape: Multi-stemmed “tree shrub” in youth. Will eventually form multi-stemmed pyramidal tree in maturity. Bark: Smooth; light grey. Not showy. Flower: Creamy white, 2-3” flowers through summer months. While not as out right showy as southern magnolia, they are pretty and their lemony-esque scent is fantastic!! Fruit: Ornamental “grenades” when the seeds ripen inside the fruit in late summer/ early fall. Foliage: Alternate, simple, elliptical to oblong; small to medium sized leaves are dark green with silvery underside. Very handsome effect when the wind blows, exposing the undersides of the leaves. Semi-evergreen in warmer climates. Noted they retained their leaves in Richmond VA amid -5 temps during winter 2018. Drought Tolerance: Decent once established, but definitely prefers moist, well drained soils. Unlike other magnolias, this does well in wet areas, and is a perfect choice for the often over watered suburban landscape. Soil Requirements: Requires acidic soils. Diseases and Insects: Nothing very serious. Can get chlorotic in alkaline soils. Maintenance: Typical pruning to improve structure. Uses: Excellent small tree for its summer flowers, leaf display, wet soil adaptability, and for maintaining a patio sized presence. Great residential landscape, park, or street tree. Mature Size: 40-60’ tall by 20-30’ wide. Form/Shape: Pyramidal in youth, variable in maturity; some maintaining pyramidal habit, some wide spreading. Bark: Brown and slightly shaggy. Attractive. Flower: March to April; not showy. Fruit: Small papery bean-like pods. Not showy. Foliage:Emerge a lovely red/purple, transitioning to bluish green in summer. Bright yellow with apricot hues in autumn. 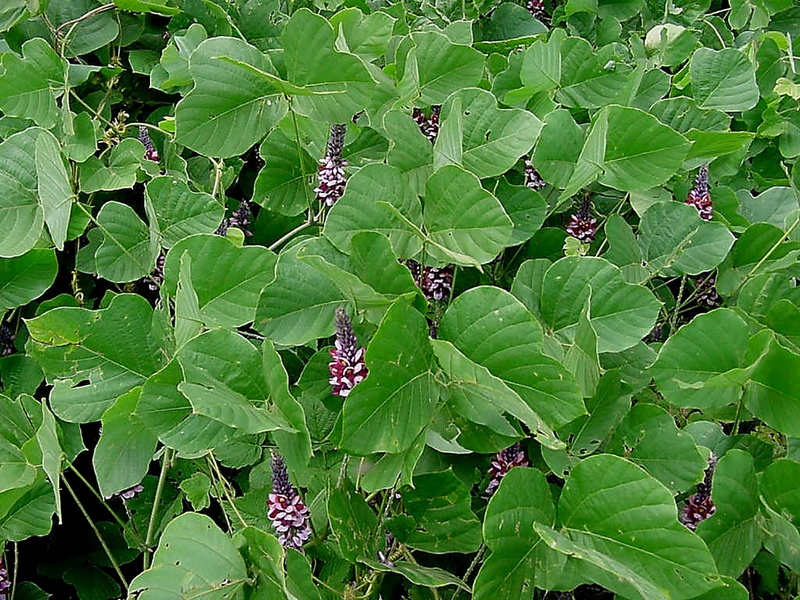 Generic name gives away that they’re shaped like Redbud leaves. Fall leaves can also be sweetly fragranced. Growth Rate: Medium to fast once established. Drought Tolerance: Not nearly as good as some others on this list, but it is a worthy enough tree that a little supplemental watering should not preclude it. Soil Requirements: Prefers rich, well drained, but is adaptable. Maintenance: Will absolutely need supplemental watering to establish, and during hot, dry periods. Uses: Could be used as a street tree. Perfect for residential landscapes, parks, and even commercial sites. A fantastic shape and size for residential lots. Form/Shape: Upright, pyramidal, symmetrical when young; flat topped when very old. Bark: Smooth; reddish brown fibers when young; matures to reddish brown to gray-brown with shallow fissures. Flower: Forms in late winter. Brownish tan panicle of small male cones; greenish purple female cones composed of fleshy scales form a 1” ball. Fruit: Obovoid, hard, greenish purple to brown cone; attracts birds and squirrels. I think they’re pretty darn cool looking. 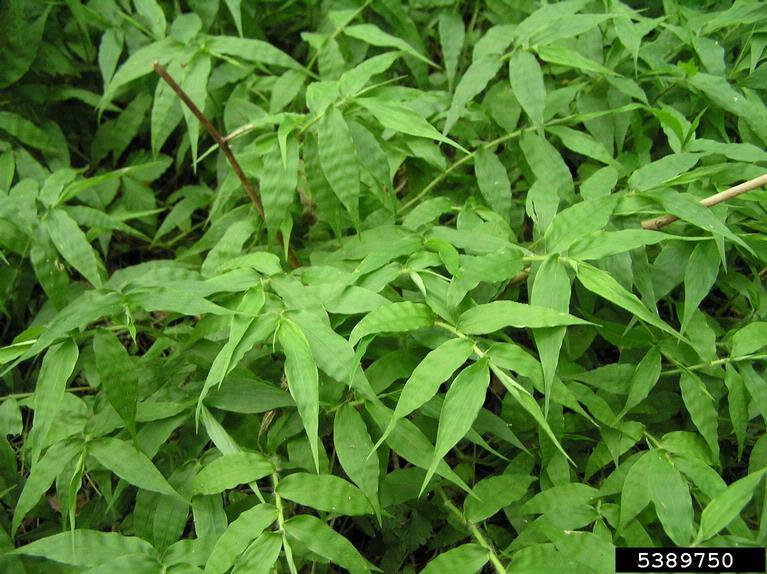 Foliage: Alternate, simple, lanceolate, needle-like leaves. Pale green needles turn coppery red in Fall; leaves are like a soft evergreen needle, but tree is deciduous. Drought Tolerance: For a tree that is at home in a swamp, it is surprising drought tolerant once established. Soil Requirements: Grows in all soil types, and grows well in areas where where constant flooding may kill other plants. Diseases and Insects: Leaf blight, sapwood rot’ root knot nematodes, gypsy moth larvae feeding, and mites. Sounds like a lot of ailments, but I have mostly observed that this is one tough tree, and little affects it. Uses: Wet sites!! 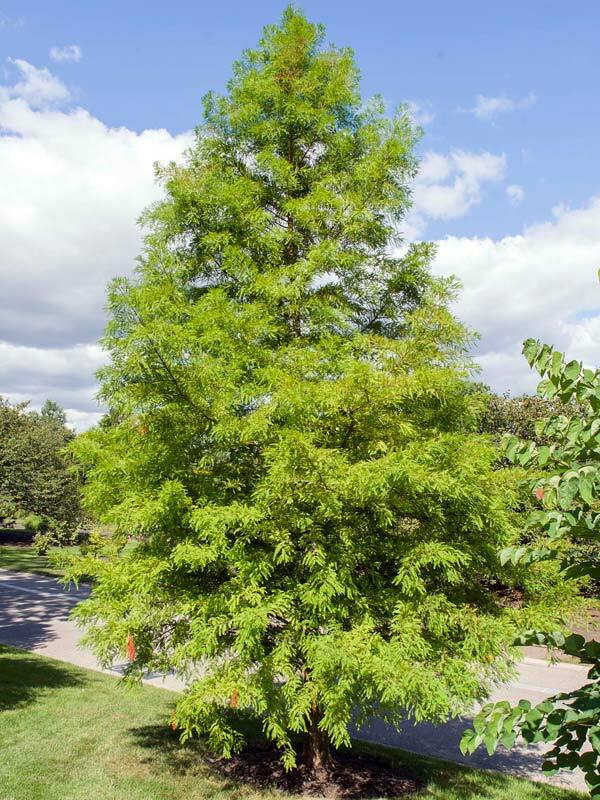 This tree is fantastic in soggy areas with poor drainage. Perfect tree for BMP’s. Native Habitat: Michigan, Texas and Eastern U.S.
Bark: Smooth; gray when young; matures to grayish black with deep fissures, ridges, and plates. Flower: Blooms small and white in spring. Hardly noticeable. Fruit: Small, blue and ovoid. Attracts birds. Foliage: Alternate, simple. Green in spring, with BRILLIANT, showy red to deep purple in fall. Drought Tolerance: Great once established! Soil Requirements: Prefers moist, well drained, but will tolerate a variety of soil types, and even intermittent flooding during the dormant season. 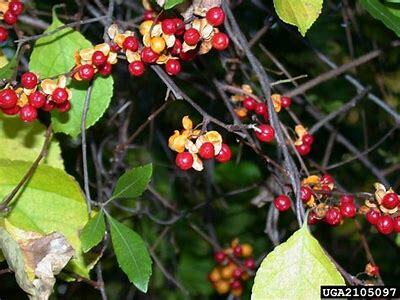 Diseases and Insects: Branch cankers, leaf spot, leaf blotch, Fusarium, Hypoxylon, Nectria. Maintenance: Minimal pruning required. 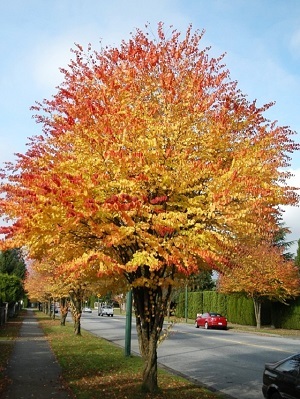 If used in a street tree setting, lower limbs will need to be removed to allow for vehicular or pedestrian clearance. Fruit litter can be messy, so it may not be the best choice near a building entrance. Uses: Street tree. Shade tree or specimen. Look awesome in fall when clustered in small groups. Larger parking lot islands, buffer strips and median plantings.